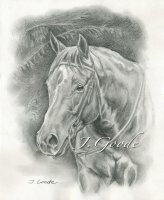 Lori VanSickel is an eventing and Hunter/Jumper trainer and owner of Flying V Farms. 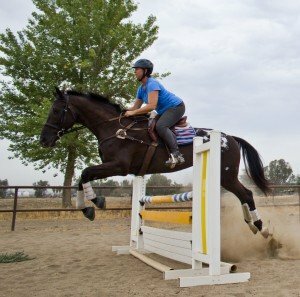 She has been teaching equestrian jumping for many years. Lori has ridden and trained horses for jumping most of her life. 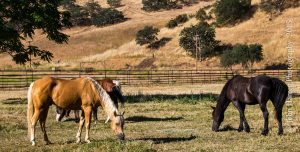 Now, headquarted in Bakersfield, California, Lori focuses not only on jumping, but equitation as well. On today’s show Lori demonstrates how to use an exercise called gymnastic jumping lines to improve your equitation and your horses athletic ability. We take one horse through the course several times. You can hear and see the progression. Each time, after a satisfactory run, the challenge is increased. But, before we get into the action, Lori’s twelve year old daughter, Kayla, gives me a tour around Flying V Farms. Because I know nothing about equestrian jumping (although I love to watch it), Kayla was patient enough to explain the intricacies of all the jumps. They have a great facility out at Flying V and a few months after the interview, Ranae and I went out to take a lesson. Lori taught us a great deal in the 60 minutes. She gave us many excellent tips and I can’t wait to go back for more.